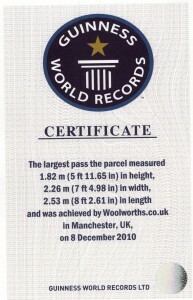 It’s not every day that you get to set a Guinness World Record, but this December, it’s exactly what we’ve done! 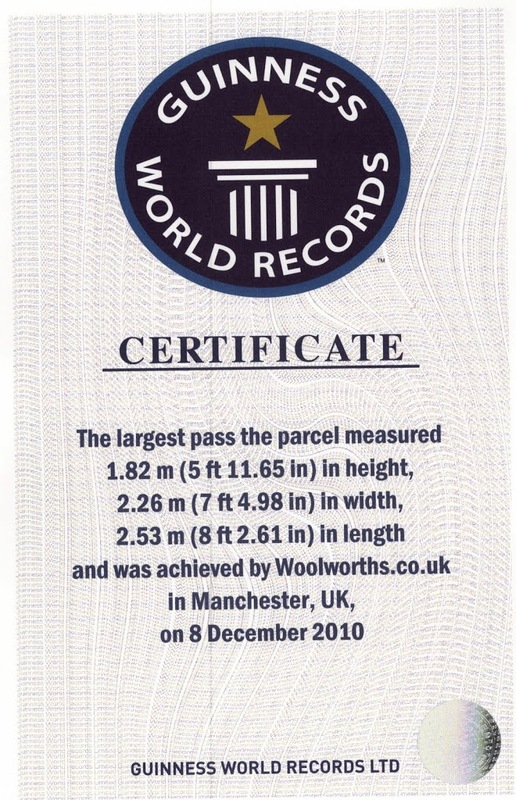 Golden Goose PR client Woolworths.co.uk created the enormous parcel and filled it with the top toys for Christmas 2010. 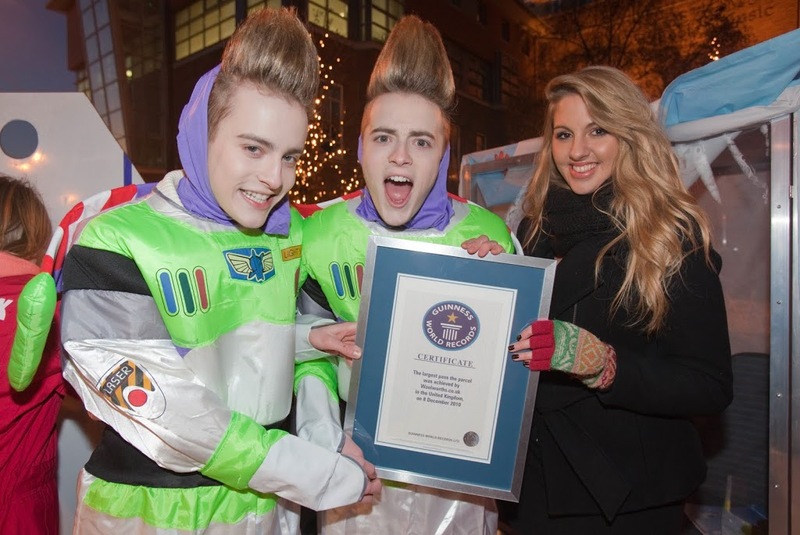 And the very last toy to be unwrapped was…JEDWARD! 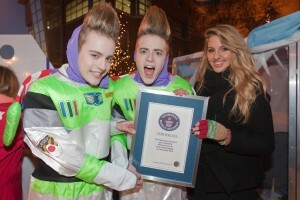 Dressed as Buzz Lightyear! Yes, the crazy pop twins catapulted to fame through X Factor were the celebrity surprise hidden within the very last layer of the parcel. 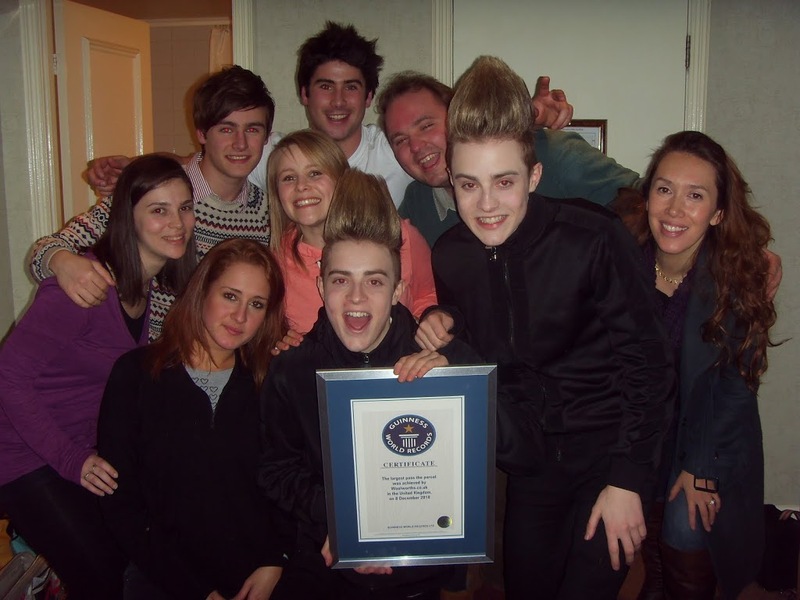 Jedward – otherwise known as John and Edward Grimes – were a pleasure to work with and behind the scenes we really couldn’t stop them from eating their weight in Woolies’ pic n’ mix. 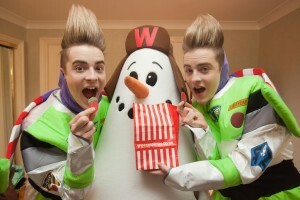 Fans take note – Cola Bottles are their favourite! We’d like to thank Jedward, the hilarious Woolies snowmen, Stan and Ollie and all ten towns that we stopped at for taking part and for being great sports.